Millennium 7 Publishing Co.: Measuring YOUR Video Ad Campaign's Performance? 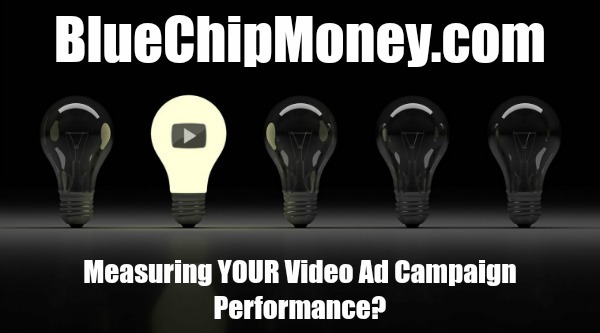 Measuring YOUR Video Ad Campaign's Performance? The body of research on video ad metric's is still limited.. Although the body of research on video ad metrics is still limited, the noisiness in the data is remarkable given how concrete some of these metrics are. Nevertheless, those who have followed the industry understand that many complicating factors are at play. One such factor is that each company measures activity on its own platform, which is only a small sample of the broader universe. Lack of standards also has an effect. The digital video space seems to be a constant flux of formats, aspect ratios, ad lengths and determinants, such as whether ads autoplay or have to be initiated, and whether the sound should be on or off by default. This lack of consensus, coupled with the fact that in many cases each publisher, platform and video ad measurement firm may approach video ad measurement in slightly different ways, with slightly different data sets, also make it near impossible to uncover any universal metric for success. What is certain is that YouTube and Facebook are the pillars of digital video advertising, with most practitioners using both rather than choosing one or the other. If anything, the question is how to combine each of those platforms with TV, not how to play them against each other. In the latest episode of "Behind the Numbers," eMarketer analysts Paul Verna and Lauren Fisher discuss digital video advertising effectiveness, and what that effectiveness looks like across different platforms. This episode is made possible by Criteo. YouTube, Facebook, Instagram, Twitter, Snapchat and More," delves into the methods ad industry executives are using to measure the efficacy of video ad campaigns. eMarketer PRO subscribers can read the full report here. Nonsubscribers can purchase the report here. Guest Authored By eMarketer. eMarketer's mission is to help their clients make better decisions in a world being transformed by digital. They do that by aggregating, filtering, organizing and analyzing essential data and perspectives from multiple sources, and delivering insights for clients to act on. Follow eMarketer on Twitter. Related Article: YOUR Fractionalized Video Content? “Although the body of research on video ad metrics is still limited, the noisiness in the data is remarkable given how concrete some of these metrics are. Nevertheless, those who have followed the industry understand that many complicating factors are at play.."